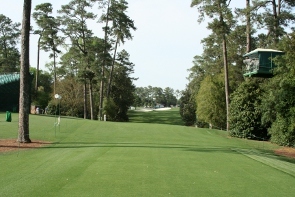 The Tournament Players Club at Sawgrass, affectionately referred to as TPC at Sawgrass, is a golf course in Ponte Vedra Beach, Florida, and first of a number of Tournament Players Clubs to be constructed, opening in 1980. 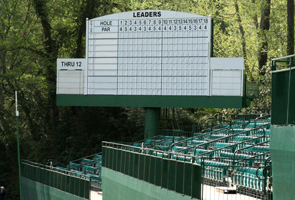 Designed by the husband and wife golf course architect duo of Pete and Alice Dye, it has come to be known as one of the most testing golf courses in the world – something which we were reminded of during the past four days when the annual Players Championship came to our screens. 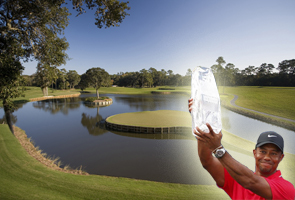 This year it saw Tiger Woods clinch his fourth title of the year – and, at the same time, made amends to his disappointing record at TPC Sawgrass. Woods carded a final round of 70 (two under par), which included five birdies, a bogey and a double-bogey, to hold off fellow Americans Kevin Streelman and Jeff Maggert and the little-know Swede David Lingmerth to the game’s “fifth major” for only the second time in his illustrious career. His first victory at The Players came in 2001 – since then he had only been able to record one other top ten finish at the infamous Pete Dye-creation. 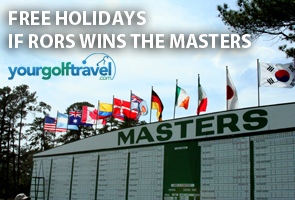 Given this very poor previous record he managed to surprise many of his critics by claiming the title with a deserved win that has also seen him lengthen his lead as the No.1 golfer in the world rankings. “I hadn’t played really well here since 2000, 2001,” said the world No.1 afterwards. 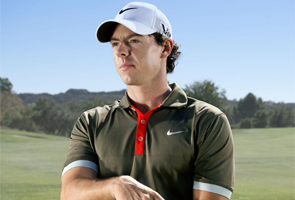 “This golf course has been a little bit tricky over the years, and I’m not the only one who’s struggled with it. It’s a tough course. 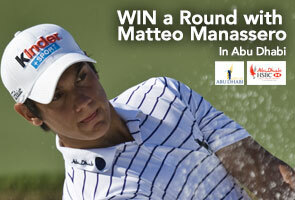 Fortunately, I think this year I’ve been playing really well, and the last tournament I played in, I played really well. This win at The Players was the 78th of Woods’ PGA Tour career, putting him just four behind Sam Snead’s unsurpassed record. It has also meant that Tiger continued his extraordinary record of winning on his 100th, 200th and now 300th starts on the tour! 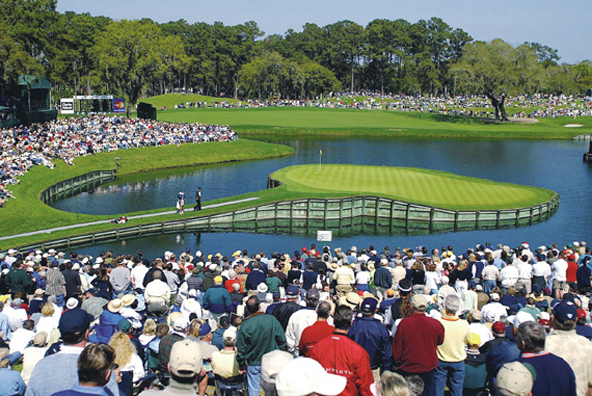 Constructed specifically to host The Players Championship, it employs a distinctive “stadium” concept: like in other sports, fans at the TPC sit in “stands” made of raised mounds of grass. However it wasn’t all plain sailing for Woods, he was perhaps helped by the implosion of Sergio Garcia who somehow managed to drop a staggering six shots on 17 and 18 to diminish his hopes of clinching the championship for his second time. The Spaniard was joined for the lead with Woods before teeing off on the legendary 17th hole, but he managed to splash not one but two balls in the water – consequently racking up a miserable quadruple-bogey (seven), before taking a double on the 18th. “That hole has been good for me for the most part. Today it wasn’t. That’s the way it is. That’s the kind of hole it is. You’ve got to love it for what it is.” Said Sergio, discussing what happened on the 17th. 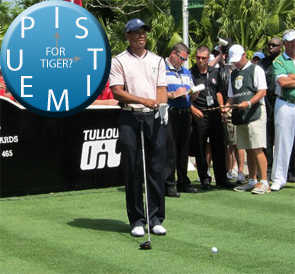 Garcia was also involved with some controversy with the eventual winner, Tiger Woods, during the third round of the competition when they were paired together. The Spaniard was two shots ahead of Woods with four holes of their round left to play. However Sergio was left incensed after being distracted by distracted by the noise of the crowd, which he felt had been “generated” by his playing partner Woods. The infamous 17th was the scene for Sergio’s quadruple-bogey 7. The Spaniard sliced his second shot from the fairway after the crowd reacted excitedly to Woods bravely pulling out a fairway-wood in preparation for his second from the trees. “Well, obviously Tiger was on the left and it was my shot to hit,” said Garcia, who bogeyed the hole and found himself one behind the American after Woods recorded a birdie. “I wouldn’t say that he didn’t see that I was ready, but you do have a feel when the other guy is going to hit, and right as I was in the top of the backswing I think he must have pulled like a five-wood or a three-wood and obviously everybody started screaming. So that didn’t help very much. The world No.1 said he was blameless of any unsporting behaviour, and replied with his own observations about the world No.13. If you fancy following in the footsteps of Tiger Woods by taking on TPC Sawgrass and its infamous 17th hole, then you’re in luck! 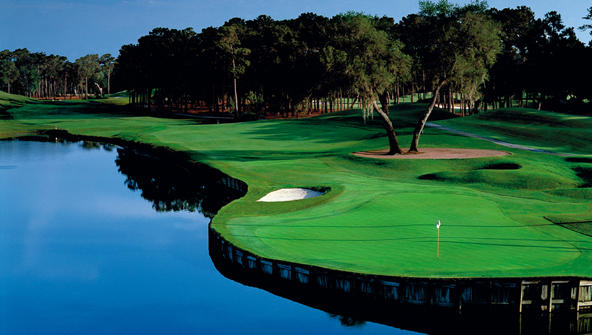 Our friends Your Golf Travel offer golf breaks to the Sawgrass Marriot Golf Resort & Spa from just £1159 (inc. flights) – a brilliant opportunity to cross off TPC Sawgrass from your golfing bucket list. Print article This entry was posted by Jerome on May 13, 2013 at 11:52 am, and is filed under General. Follow any responses to this post through RSS 2.0. You can leave a response or trackback from your own site.